Turkish Treasury and Finance Minister Berat Albayrak repeated a warning against those allegedly involved in so-called food terrorism as he appeared in an Istanbul square to support a government initiative to drive down the price of fresh produce. Albayrak, speaking to citizens after he served them fruit and veg at a municipality sales point in Istanbul’s Üsküdar district, said on Tuesday he would intensify a crackdown on speculators and opportunists who were driving up prices, local media including BloombergHT television reported. Turkey’s government is blaming unnamed food suppliers for compromising the nation’s fight against inflation. The measures it is taking include some cuts to state expenditure. The ruling Justice and Development Party (AKP) is preparing to fight local elections on March 31 amid a severe economic downturn sparked by a currency crisis last year. Consumer price inflation edged up to an annual 20.4 percent in January from 20.3 percent the previous month, partially reversing a slowdown from a 15-year high of 25.2 percent in October. The central bank has cited food price inflation, which jumped to 31 percent last month from 25.1 percent in December, as a major contributor to the increase in overall inflation. Some supermarkets have already begun to respond to the government’s call to cut prices. 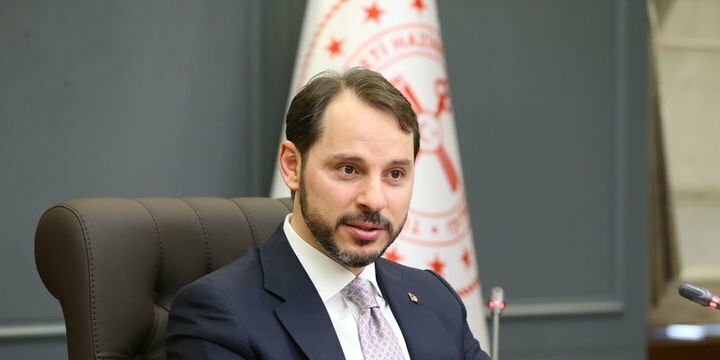 By next winter, the authorities will have introduced new infrastructure to manage the supply of food in order to help slow price increases, said Albayrak, who is the son-in-law of President Recep Tayyip Erdoğan. The municipality of Sultanbeyli in Istanbul has imposed a ceiling on purchases of the cheaper fruit and vegetables to 5 kilos a person, Karar newspaper reported. Potatoes and onions cost 3 liras (57 U.S. cents) a kilo, apples 2.5 lira a kilo and oranges 2 liras a kilo and the stand it runs, Karar said. Migros, Turkey’s largest supermarket chjain, has slashed the price of onions and potatoes by more than half to 2 liras a kilo, according to its website. The price of most other vegetables remained unchanged. Oranges cost 3.95 liras a kilo and apples 3.99. Under the AKP, inflation in Turkey slowed to a 40-year low of 4 percent in 2011 from over 30 percent when the party took power in 2002. But the government started prioritising growth over inflation following the global financial crisis, accelerating those efforts as the Federal Reserve and then European Central Bank embarked on monetary easing. The change in government policy meant inflation renewed its upward trajectory.